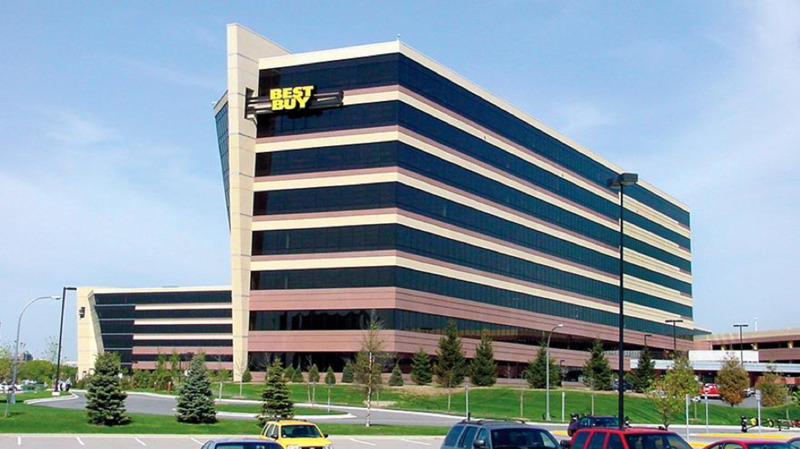 Headquartered in Richfield, MN, Best Buy is closing the diversity gap by example. In September they joined the Reboot Representation Tech Coalition in an effort to double the number of women of color who graduate with computing degrees by 2025, and Diversity and Inclusion policies are published on their website. In the United States, Best Buy serves customers in stores, online and in the homes of customers. All three of those areas are led by women. In addition, Best Buy is one of only two companies in the Fortune 100 to have gender parity on its Board of Directors. Last year Best Buy’s Chairman and CEO, Hubert Joly signed the CEO Pledge for Diversity and Inclusion. At NRF 2018: Retail’s Big Show, in a panel discussion on the importance of diversity and inclusion in the workplace, Joly stated, “It’s creating an environment where our employees can live our value of ‘unleashing the power of the people’. It’s hard, though, to unleash the power when you don’t feel accepted.” Best Buy and companies across the nation are discovering that respect, trust, and psychological safety lead to high performing teams and are putting policies in place to create new standards. 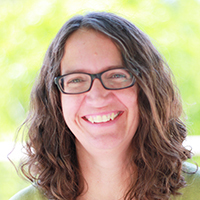 We interviewed Best Buy Solution Architect, Nicole Kerin to understand more about how new standards are influencing teams. She speaks to the importance of an environment that embraces authenticity, some of the challenges that still exist, and how individual ideas and perspectives can lead to a better experience for a diverse customer base. NK: Currently, I am a solution architect at Best Buy, responsible for creating, updating and maintaining several systems. I work closely with business partners to understand their needs, then work with them to provide the best technical solution. NK: I graduated with a computer science degree at a time when it wasn’t a common major, especially for women. I’ve been in IT ever since, holding a variety of roles. Technology has been my passion since I can remember. NK: One struggle I’ve experienced and have heard from other women is managing how we are perceived. If a woman is strong and assertive, the feedback she often gets is “you need to soften your message” or “you come across as too demanding”. However, if a woman is quieter or more introverted her feedback is “you need to be more assertive” or “you need to speak up to prove yourself”. While trying to find the right tone the same woman will get both types of feedback at separate times. NK: I show up to every meeting as my authentic self and recommend other women to do the same. I come prepared with the information and present it in a tone that is true to myself. I’m still open to feedback, but I never try to be something that doesn’t reflect who I am. NK: Corporations are making strides in understanding the importance and benefits of having a diverse workforce. Part of that includes a diversity of styles and ideas. Promoting an environment where everyone is accepted will benefit everyone in the organization. NK: Changing existing beliefs is a tough barrier for corporations. Employees have preconceived ideas about leaders – how they act, how they make decisions and how they look. Corporations need to break the norms and promote new thought leadership. NK: Be prepared to constantly learn. Not only is the technology changing rapidly, but how we interact with it and how we create and develop it changes equally fast. It’s exciting and challenging to create new technology in a new way, and it is what makes a technology career interesting. NK: Technology is used by everyone. Young, old, rich, poor, blind, deaf… organizations need the diversity of thought in developing their technology to meet the needs of the diversity of their users. NK: Say yes. When new opportunities arise, say yes. Take the chance, take the risk, you never know what opportunity lies beyond this one. Best Buy works hard every day to enrich the lives of consumers through technology, whether online, in stores or in their homes. This is achieved by solving technology problems and addressing key human needs across a range of areas, including entertainment, productivity, communication, food, security and health. 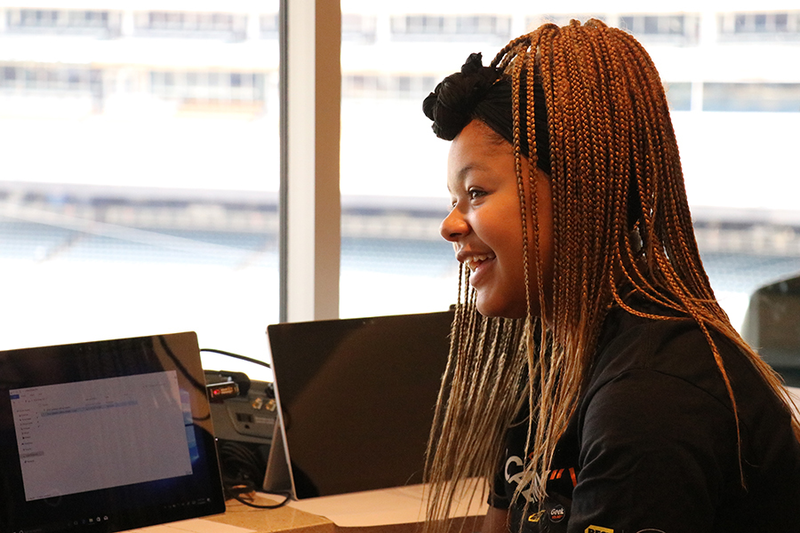 MNAiC collaborates with businesses, organizations, and schools to inspire, support, and empower young women in high school to become our next, best Minnesota technology talent. Want to get engaged with the Minnesota Aspirations in Computing program? To learn how your organization can support the computing interests of young women in Minnesota and lead the movement to disrupt gender equality in tech, contact Russell Fraenkel, Director of IT Career Pathways and Partnerships, Minnesota State – IT Center of Excellence, at russell.fraenkel@metrostate.edu, call (612) 659-7224.